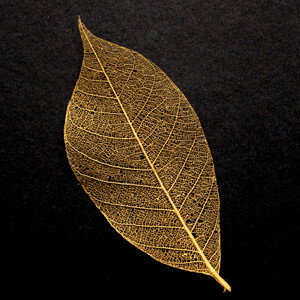 These metallic gold skeleton leaves are great for homemade Christmas cards and winter gift making. 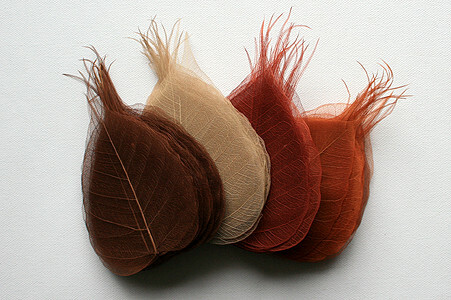 They make excellent embellishments for scrap booking and stationary, and can add a rustic touch to DIY wedding decorations. 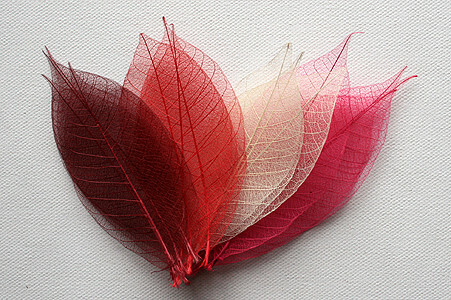 They are available in several sizes from small (4cm) through to extra large (15cm). 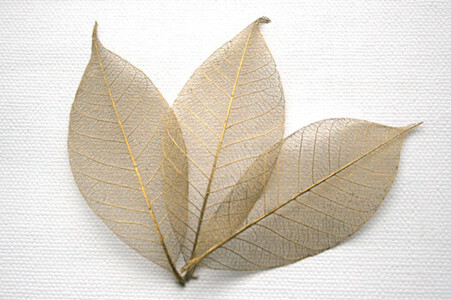 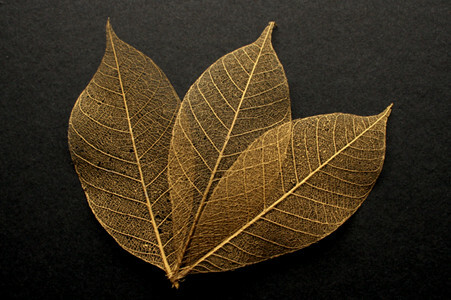 Our metallic gold skeleton leaves are from the para rubber tree and are skeletonised, treated and dyed in Thailand.